Robert has been a financial advisor for over 30 years, working with business owners, executives and families along many facets of their financial plan. 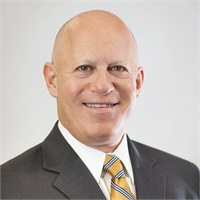 In addition to providing financial planning and investment management services, he consults to closely-held companies pertaining to their overall business plans and succession plans, as well as their executive retention and business transition strategies. Robert studied at Cornell University and is a graduate of Florida International University. He has also attained both the Accredited Wealth Management AdvisorSM and the Chartered Retirement Planning CounselorSM designations from the College for Financial Planning. Accredited Wealth Management AdvisorSM and AWMA®, and Chartered Retirement Planning CounselorSM and CRPC® are registered service marks of the College for Financial Planning. As well, Robert takes great pride in playing an active role in the community, serving on various philanthropic boards and committees. He is licensed to sell insurance in IL, MD and AZ, and securities in: IL, MD, AZ, NC, CA, NJ and PA.